A project called ‘Community Mapping’ has benefited the communities of Samdrup Jongkhar Dzongkhag. Community mapping is an asset-based approach to community development. Under the project, community members including villagers and educated youth join hands to develop public amenities such as toilets, road safety signs and roadside drainage in their localities. 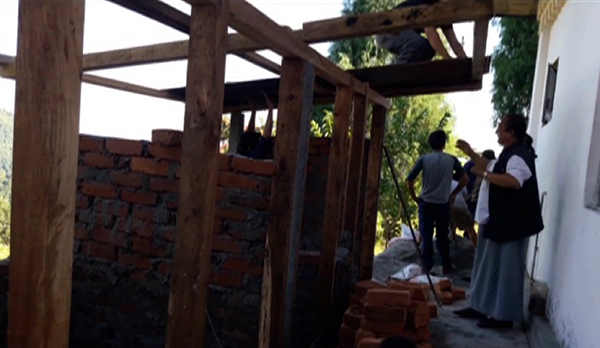 Some of the villagers said, recent construction of seven-unit toilets at Dudjom Dharma House in Rekhay of Dewathang Gewog will be helpful during big religious events. “In the past, during religious events, many people used to gather here and with one toilet, it was difficult to cater to large crowd. But now, the seven-unit toilets take of these problems,” said one of the lay monks, Dawa Zangpo. The project was launched in Samdrup Jongkhar last year and is being facilitated by Bhutan Centre for Media and Democracy (BCMD) and Samdrup Jongkhar Initiative (SJI). “We try to identify what things are needed in the community and with the help of community members, we try to see what are their potentials in solving the issues,” said Cheku Dorji from Samdrup Jongkhar Initiative. Community leaders in Samdrup Jongkhar said civil society organisation’s role is to fill up gab left by the government due to limited resources or some other restrictions. And BCMD and SJI have served their purposes. “They have done the works which the government cannot. Like construction of toilets is not supported by the government due to some rules. We are happy such activities are supported by BCMD,” said the Chairperson of Dzongkhag Tshogdu, Leki Wangchuk. Through community mapping project, community members have constructed road safety signboards and zebra lines from Dewathang town till Dewathang Primary School. Other activities included building drains alongside 3.5-Kilometre road leading to Garpawoong Middle Secondary School and carrying out widespread educational awareness on sustainable waste management in Samdrup Jongkhar town. The project is being funded by Canada Fund for Local Initiative through BCMD.